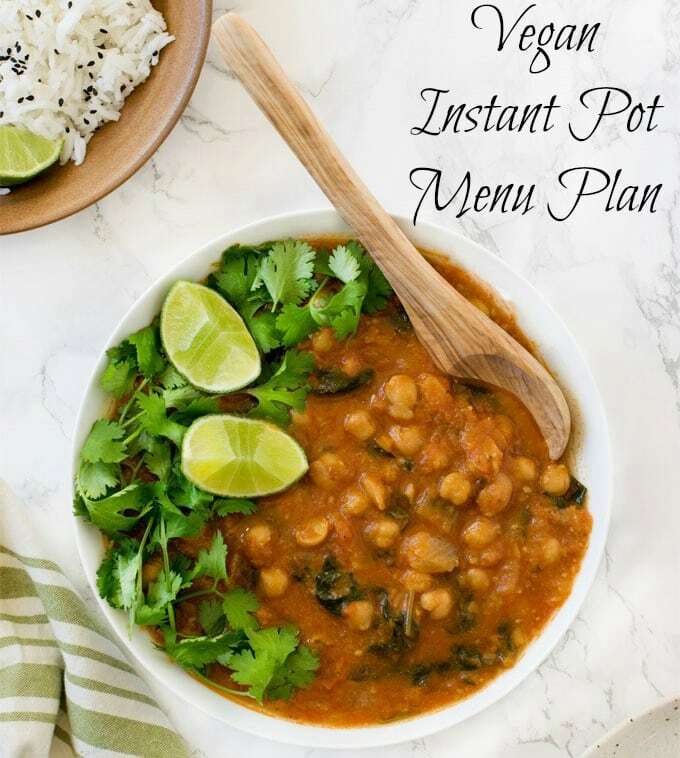 Home » Vegan Menu Plan » Start 2018 Off Right with This Vegan Instant Pot Menu Plan! Start 2018 Off Right with This Vegan Instant Pot Menu Plan!
. Don’t have an Instant Pot? 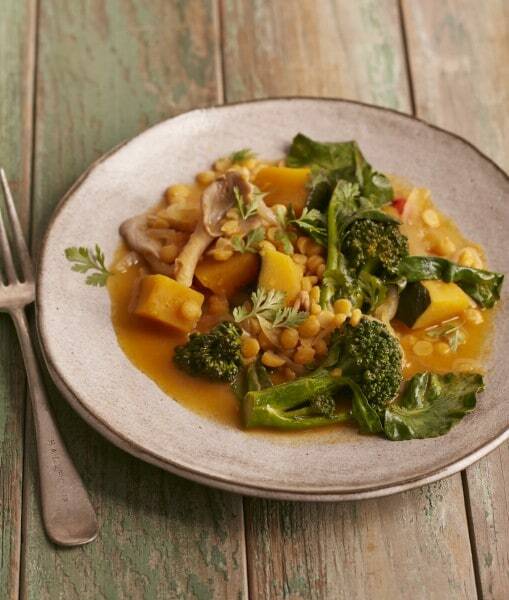 Click here to go to a free slow cooker vegan menu plan. 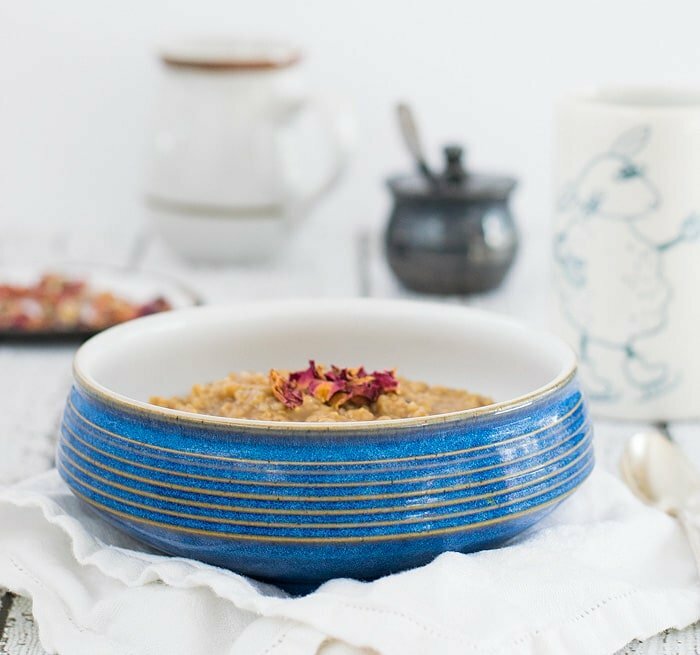 Breakfast: Vegan Earl Grey Oatmeal w/ Rosewater, cooked in your Slow Cooker or Instant Pot, is a perfect breakfast for cold, snowy mornings. 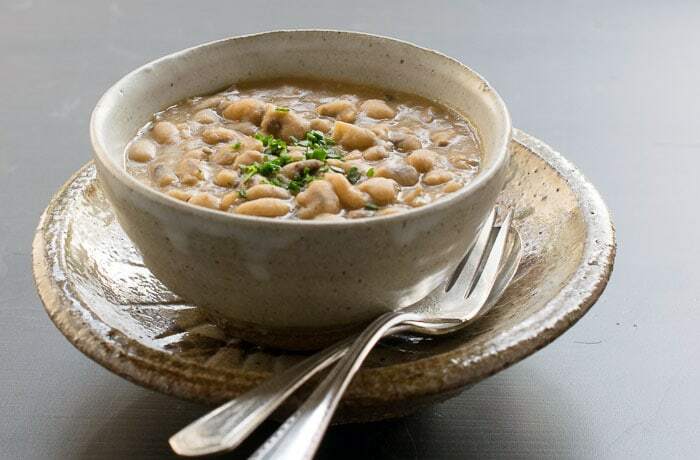 Monday: Warm up Monday night with these Vegan Creamy Black-Eyed Peas. They are healthy and delicious! 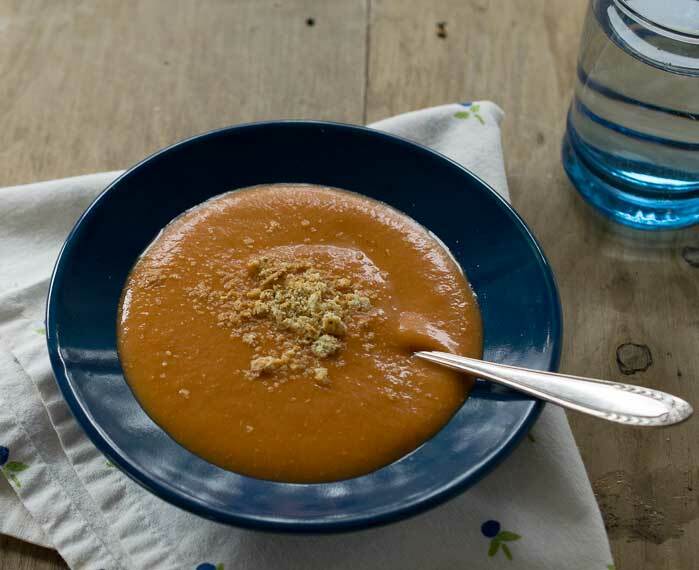 Tuesday: This Creamy Tomato Soup Recipe is a great weeknight soup to make in your Instant Pot. It takes almost no prep and all you have to do is blend it once it’s cooked. 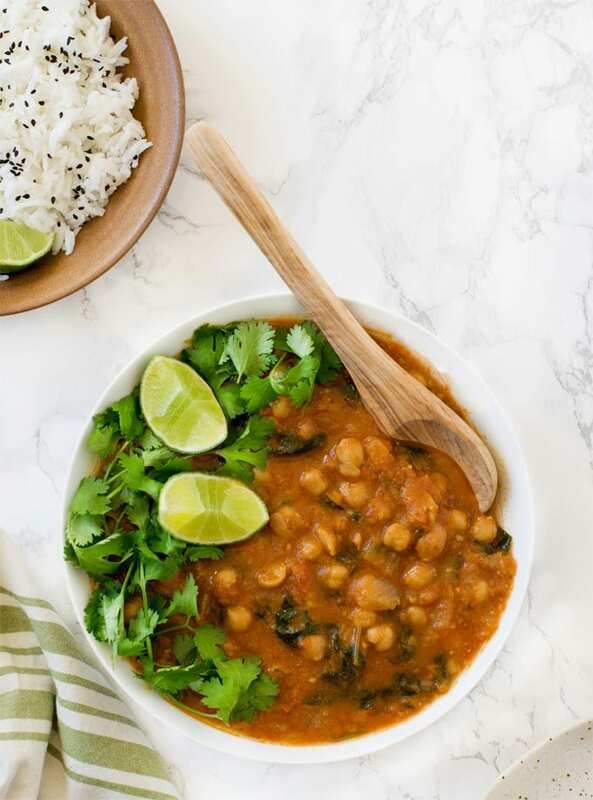 Wednesday: Instant Pot Vegan Spinach Chana Masala has it all – beans and veggies. Steam some rice or eat it with some vegan naan. Thursday: Dim sum can be hard to find once you go vegan, but not if you make your own. 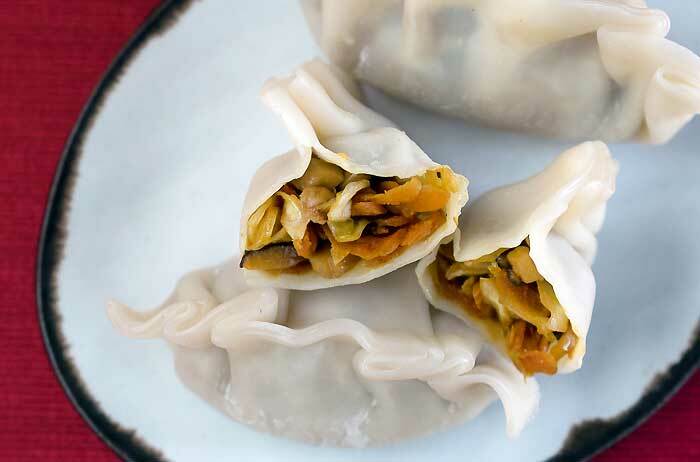 With store-bought wrappers, these Vegan Asian Steamed Dumplings are amazingly easy and cheap to make in your Instant Pot. Friday: These Stewed Chickpeas in the Instant Pot are great by themselves, but even better served over quinoa with steamed kale. Saturday: Jill Nussinow’s Thai Red Curry is a flavorful stew that is perfect for the winter weather. It’s also a great way to clean out the fridge. 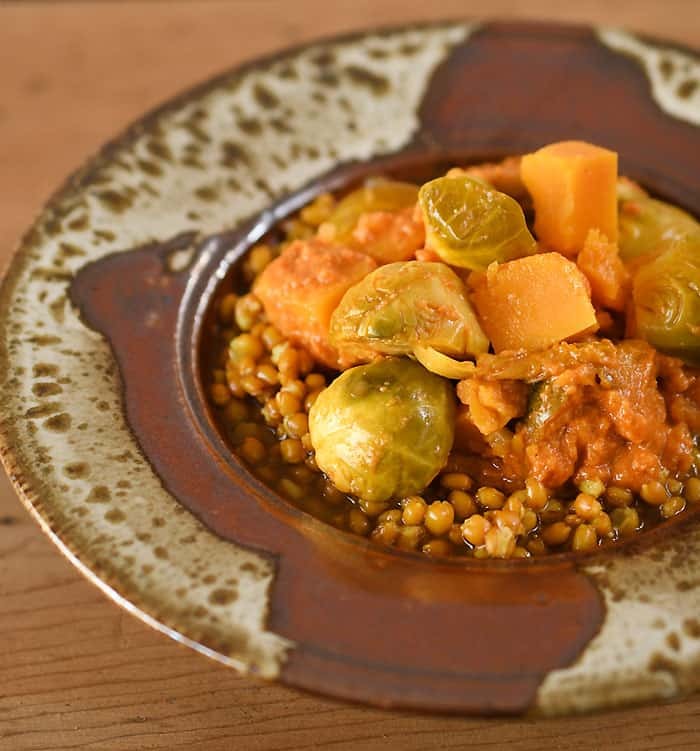 Sunday: Since you have a little extra time make my Vegan Brussels Sprout and Butternut Squash Curry over Instant Pot Wheat Berries. 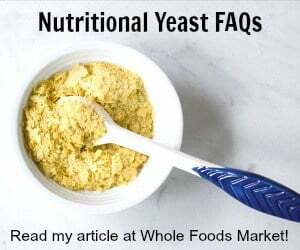 It’s perfect for winter and good for you too! 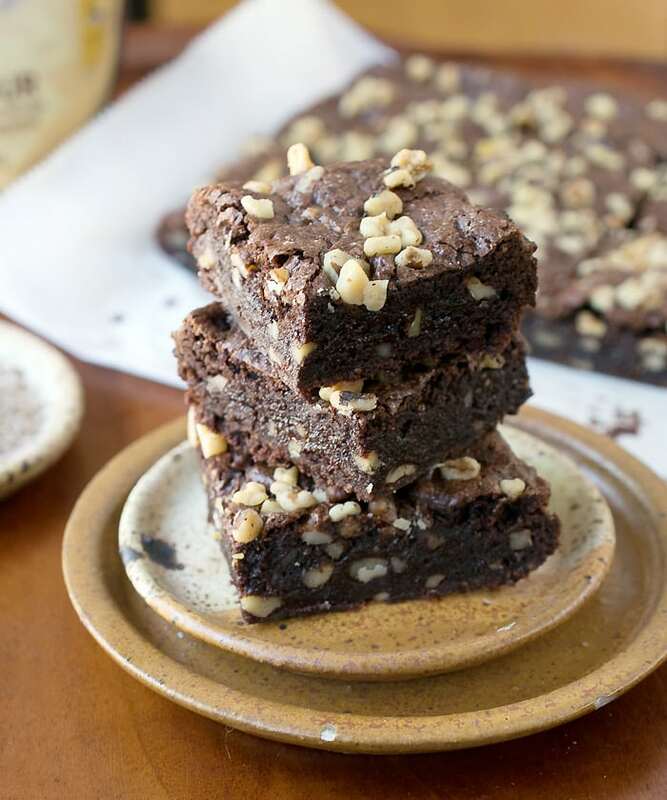 Dessert: These delicious Gluten-Free Vegan Brownies aren’t made in your Instant Pot, but your family will love it if you make a batch that they can have after dinner! I love your free meal plans! Thank you for taking the time to create these for your readers. I’ll take an order of each, please!! I’m always looking fir new recipes to try in my Instant Pot! Thank you so much for including my cream of celery soup in the mix too!! It’s beautiful – thank you for letting me share it! This is a wonderful menu . Lovely compilation . Thank you for having my recipe on the list too. Thank you for making such a wonderful recipe! If it’s an electric pressure cooker or multicooker all the recipes will be the same. I don’t have stove top pressure cooker instructions (or a stove-top pressure cooker), but you could check out Vegan Pressure Cooking or Vegan Under Pressure to get the slight adjustments you’d need. New Instant Pot user here and appreciate the recipes. I’ve downloaded so many ebook recipes to try, I don’t know where to start. I will appreciate the time-savings with beans the most I think! Thank you so much! I had a great time taking the photos and I’m so excited that you like them. 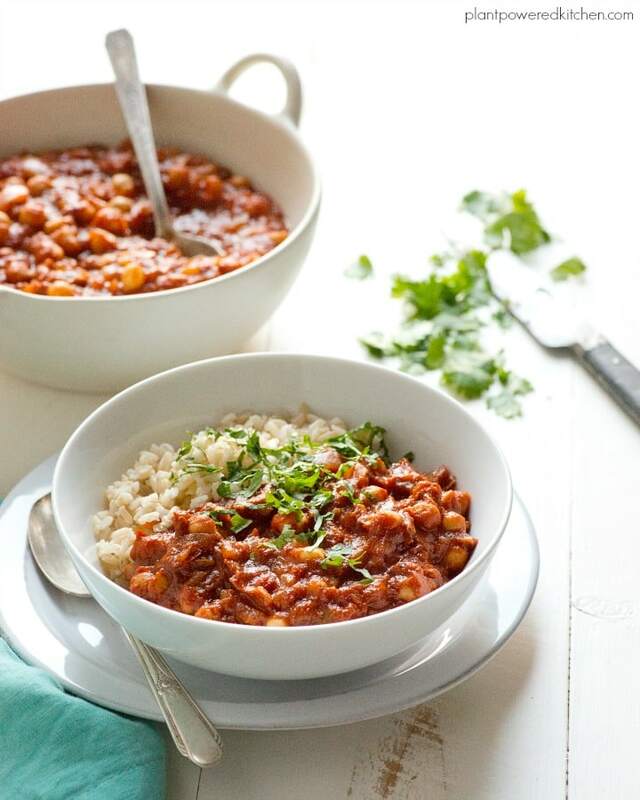 What size instant pot are your recipes for in your book The Ultimate Vegan Cookbook? 6 quart. That was the only size available when I wrote the book.